Winter is back, bringing with it the usual trials and tribulations that are commensurate with this time of year. There’s rain, sleet and snow to contend with, coupled with increased grime kicked up by road gritters, muddy puddles and falling leaves. At the same time though, winter is also one of the most beautiful times of year when the early morning frost and low setting sun, burnished in brilliant oranges and pinks, can be spectacular. If you’re to appreciate those majestic winter landscapes in all their glory, you’ll want to take measures to ensure your windows stay clean for as long as possible. Here’s how to prevent the winter weather from tarnishing your view. Heat causes glass to expand whereas cold causes it to contract. There’s a slender chance that using extremely hot water on frozen windows may cause them to crack. Thus, stick to cold water – no matter how chilly your hands. ‘Warmest’ is a relative term in winter, when temperatures often barely rise above zero all day. Nevertheless, try to avoid cleaning windows early in the morning when temperatures are freezing. It shouldn’t need stated that pavements and driveways can become treacherous in wintertime. Ice isn’t always visible, so be especially cautious when positioning ladders to access first-floor windows. Have someone on the ground to hold the ladder and eliminate the possibility of slippage. Why would you want to choose an overcast day to clean windows? Because these conditions are when it’s easiest to spot streaks. Using a microfibre cloth is another tip to heed, one which will help you in your quest to avoid leaving streaky windows. There’s nothing more frustrating than stowing the ladder and walking inside the house only to discover that you’ve left glaring streaks all across an upper floor window. If you don’t fancy getting your extremities cold or are averse of heights, there is another option – call in the experts. At SPM, we work all the year round and while it would be stretching the truth to say the cold never bothers us, we’re accustomed to it at least. Working as we do in Edinburgh and Glasgow, we endure more cold days than warm. Thus, be it in times of hail, sleet or snow, you can count on us to be out there doing the rounds. Those windows aren’t gonna clean themselves. From the shore of Leith to Kings Know on the other side of the city and from Musselburgh in the east to Kirkliston in the west, Edinburgh is a sprawling metropolis that incorporates 32 council areas and a population of over half a million. For many Edinburgh window cleaners, servicing the city is a full-time job in its own right. While some window cleaning specialists, including SPM, also rove further afield (we cover Glasgow for example), many elect to stick with Scotland’s capital. If you’re considering hiring a window cleaner, Edinburgh presents no shortage of options. For both domestic and commercial situations, there is a number of companies to choose from, all of whom will doubtless be only too willing to take your business. Before you reach for the phone or click any further, take a moment to peruse the following checklist. If your prospective Edinburgh window cleaner ticks all of these boxes, you can then proceed with complete peace of mind, knowing you’ll be hiring a reputable and capable company. Does your window cleaner apply quality control? Quality control simply means that your commercial or domestic window cleaner cares about the performance of its staff and takes steps to ensure their work is up to scratch. This isn’t simply about their ability to buff a pane of glass till every speck of dirt has been vanquished: it also means checking that staff comport themselves in a manner that is befitting of professional tradespeople while on the job. Reputable Edinburgh window cleaners won’t just pay lip service to quality control – it’s something they’ll perform on-site on a regular basis. Does your window cleaner offer a range of cleaning techniques? While a traditional bucket and ladder will suffice in many situations, not all buildings are suited to such an approach. For high or hard to reach windows, a waterfed pole system will be required or possibly even a scissor lift and hydraulic platform. For commercial window cleaning jobs especially – plus high-rise apartments – such equipment is often the only way to clean windows. You’ll want to ascertain this sort of stuff now to avoid the disappointment of calling out a window cleaner only to learn that they’re unable to service your windows. Can your window cleaner offer a range of additional services? While they’re up there, how about getting them to clean your gutters? And what about your solar panels, stone surfaces and timber decking? While some Edinburgh window cleaners focus solely on windows, others offer a complete cleaning and maintenance service. Although you might not require these services on a monthly basis, having a trusted contractor you can call upon once a year to perform general maintenance and cleaning tasks is extremely convenient. Some window cleaning firms also offer stair cleaning, including communal areas, enabling a crew to tick off a range of tasks in a single site visit. Is the Edinburgh window cleaner you’re contemplating fully insured? The answer to this question should almost certainly be “Yes” but don’t assume as much – ask them. Local window cleaners should be fully insured against damages and be trained to adhere to window cleaning regulations. After all it’s not just about getting the job done competently: it’s also about getting it done safely. Accredited Edinburgh window cleaners should have public liability insurance and staff should be kitted out with protective equipment and clothing, to protect their own health and safety as well as that of the general public. If the Edinburgh window cleaning company you’re considering ticks off all of the foregoing boxes, go ahead and get in touch. They’ve clearly got the right skills and qualities for the job. Now all that’s left to negotiate is the price. Choosing the right service for window cleaning in Edinburgh can be difficult. Taking the time to learn what to look for can help you avoid potential trouble and costs down the road. Read these 5 tips to make sure you pick the right window cleaners on the first go. 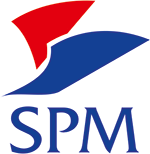 The Living Wage Foundation is pleased to announce that SPM, has today accredited as a Living Wage employer. SPM are one of the largest window cleaning & maintenance company’s in Scotland. With an outstanding reputation for quality and reliability.